With cannabis, fitness and nutrition I was able to lose 110lbs, work myself out of a wheelchair and detox off over 20 pharmaceutical prescriptions in 2013/2014. I have a disease called Ehlers Danlos Syndrome. Since I had so much success in changing my own quality of life with these principles, I was inspired to help others. If you would like to read my wheelchair to 5k inspirational blog, please click here. I became very passionate about helping others. I know first hand what it was like to be in so much pain, you were hoping to NOT make it through the night. I know what it is like to have doctors tell you you are only capable of certain things and they were now building your custom wheelchair. I know what it is like to think your future is to be dependent on others for basic living and the great sadness and depression that comes with all of these things. I also know the complete joy that comes from proving to yourself, others and doctors they were wrong. This is why I became a fierce advocate for cannabis in 2014. I started speaking to the public, legislators, and testifying in front of lawmakers about my success in hopes to influence positive policy change in my home state of Minnesota. I have spoken out to news papers, radio and television. 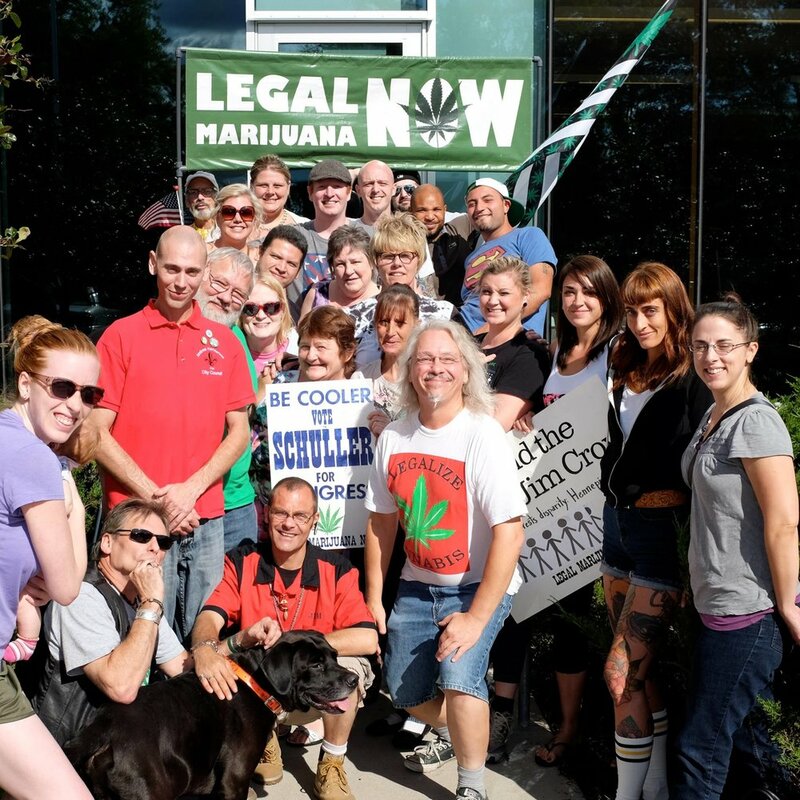 I have also volunteered and worked for NORML, Legal Marijuana Now, Women's Cannabis Coalition and others. If you would like to read new stories, see photos and view my original testimony from 2014 please click here. Fast forward to November 2016 when I moved to Colorado. After a few hiccups with a roommate that ended with him destroying the basement of the house we rented. He left, and I needed to fix the damage which lead me to renovate the space into a cannabis friendly fitness facility after getting permission from the city I lived in and my landlords. We operated from August 2017- March 28th 2018 on private residential property. In less than year I grew the business and brand to be very well known. So much so we were written about in many articles and even nominated for "Best Cannabis Tour/Class in Denver" by The Westword. The same day I given this award, I was visited by a detective and told my business license was suspended. If you would like to read the full #suspension blog, please click here. I fought the best I could and defended myself at the hearing, but in the end the decision was made. My business was shut down. It also just so happened my lease was up and my landlords were not going to renew my lease. Within a month I lost my business and home. This is when I nearly gave up. I can say I truly put my entire heart and soul into BtSF because I knew the potential it had in helping people. I worked exhausting hours because there was always something to be done. Flyers, marketing, advertising, photography, photo shoots, editing, cleaning the facility, running experiences, schedules, updating the website, obtaining sponsors, etc. All of my time was taken by my new business venture and for that my daughter suffered and my own physical and mental health started to decline. I was also in a very toxic relationship that attributed to my decline greatly. To read this story in full, please click here. In addition, I felt like I had little true support around me and became very isolated after having multiple bad experience where people got close to me under the disguise they were my friend only to take the ideas I was working on, use me for their own gain or profit, and make false promises. I became anxious, depressed and withdrawn as the months went on. In addition, the pain from EDS started to increase significantly since I wasn't able to be consistent in the gym and my weight started to increase. So, with the business being shut down and with how I was feeling, I decided to hit the road for a trip of epic proportions. I needed to heal. From the things that have transpired in the last 16 month and in my life. I hope this give a quick understanding of FCG, BtSF and why I was on the road recently. And, as always thank you for taking the time to read this blog! I hope you have an amazing day breaking stigmas and reaching all your goals! Never forget, YOU have the power!